In my region over the next twelve weeks about eight half marathons are being organized. I could literally be doing a half marathon every week or second week. I want to improve my PR and this way I get eight chances to improve upon it. However, I was wondering what your thoughts are? Would running all eight of them be the best idea? I run about 30 miles a week and am 43 years old. Thanks in advance for answering the question and thank you for providing the useful information on this website. The half is definitely becoming more and more popular by the year it seems. And it is a great distance, especially as you get a little bit older when your speed might be going a little bit, but your stamina is still there. And you do not require the long recovery time and the same gruelling training as you would for a full marathon. 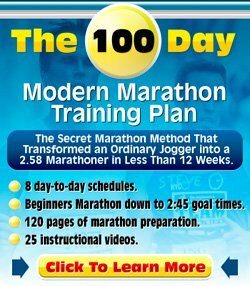 I am not sure if running all eight of those half marathons would be the best idea if your plan is to improve your PR. There may be many valid reasons why you would want to run those eight half marathons, e.g. it is fun to run races, it gives you great race experiences, it would give a great sense of accomplishment, etc. But a downside is that you might be missing out on too many quality workouts. I did a race three days ago. It was quite a tough hilly run. My legs where like pieces of dead wood in the past two days. Today they are fine again, although still a little bit stiff. So, apart from some recovery running I have not done much since the race. Suppose I'd have another race next weekend. Then I could do a quality workout today, even though the legs are not fully upto it yet. Or I could do it tomorrow, but that would already get awfully close to race day for which I want my legs to be reasonably fresh. So, instead of having three or four quality workouts in a week, I'd suddenly be reduced to two (counting the race as a quality workout too). Over a twelve-week period you would be missing out on possibly six to ten quality workouts and that is quite a bit! My advice to you is to pick a goal race and set up your training so that you are in peak performance for your goal race. Maybe do a tune-up race to get some race experience, some better feel for the distance in a race, but I would not do all eight races. Best of luck with your half marathon!